I have already read ‘Rock’n’Roll Suicide’ (reviewed here), ‘Doppelganger’ (reviewed here) and The Jack Lockwood Diaries (reviewed here) so I’m a fully paid up member of the Jack Lockwood Fan Club and delightedly snapped up Sheer Fear on its release, so I have no idea why it has taken me so long to get to read and review it. Other than my own writing schedule I guess. Anyway I have finally got round to it and here is the review. Sheer Fear has quite possibly the fastest most exhilarating opening of a book that I’ve ever read and it doesn’t peter out after the first terrifying scenes set high up on a crane, oh no, it just keeps going. 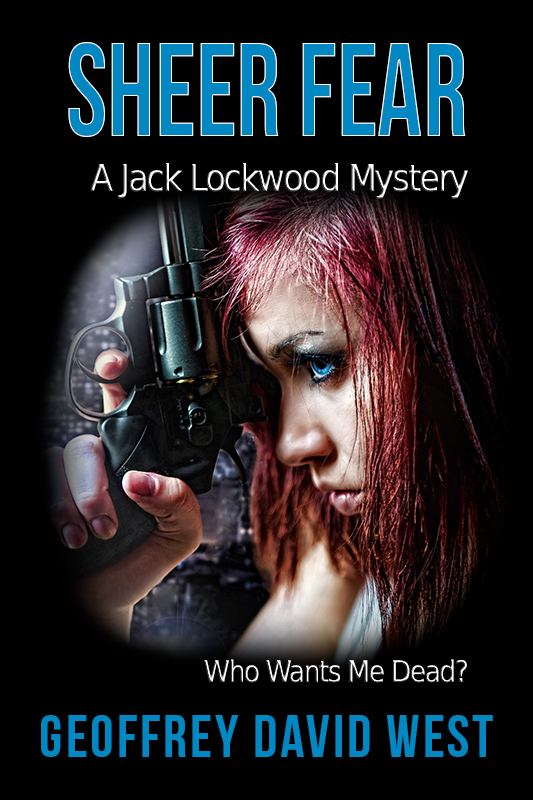 Jack Lockwood, our hero, finds himself in trouble over and over again in this action packed novel. At the start Jack is trying to save his friend David Hart, with whom he shares a special bond, from jumping from a crane he’s climbed in his desperate attempt to escape arrest after being accused of a series of rapes and murders of women. David knows he’s been framed and can see no way out but Jack wants to help. Of course he does because he is that type of bloke. This is a terrific crime novel based on historic child abuse claims being made against a high profile figure, which is all very topical. Only in this case those doing the accusing are being killed and an innocent man is being framed for their murders in a massive cover-up. Because of Jack’s connection he involves himself in getting to the truth, meanwhile, and as if this wasn’t danger enough, someone else is playing games with Jack, but the threats are very real and the dangers to his life come only too frequently. There is a complex weaving of storylines throughout this page-turner of a book and West handles all this brilliantly. His prose flows with terrific descriptions that give warmth and depth to the characters and bring to life the settings. I think West is very good at writing his cast and even those with smaller parts to play come to life with his words. Through all the books Jack is consistently portrayed as the decent guy who you always root for and although successful in so many areas of his life you will him to find the same in his attempts at having a relationship with any of the women he comes across. But I guess a guy can’t be great at everything. The action sequences are gritty, leaving the reader breathless and I must just mention that I really liked a section where a popular and hot-headed character from another well-known series of books pops up and the interaction between the two of them was very entertaining. I have read all of West’s work and it keeps getting better and better. This one is a belter and while I recommend you read all the books what is great is that they can be read in any order so approach them in any way you like.